The Bigambul People are Traditional Owners with a determination area currently covering more than 17,000 sq km in Queensland’s South-West region. The Bigambul People gained formal recognition as Native Title Holders on 1 December 2012. 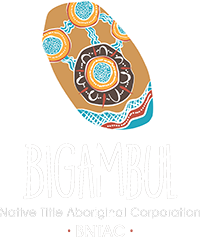 The Bigambul Registered Native Title Aboriginal Corporation holds our native title rights and interests in trust, and representing our People in all native title matters for the benefit of our wider community. We honour, identify and occupy our continuous connection to country through our ancestors, and with our Elders, so we can teach and grow our young people to lay the groundwork for a sustainable and thriving Bigambul nation. The Bigambul people are Native Title Holders in South-West Queensland. The Bigambul Registered Native Title Aboriginal Corporation holds our people’s native title rights and interests in trust for the benefit of our community. © 2019 Bigambul Native Title Aboriginal Corporation.